Show pride of place in your Sinulog Festival 2018 street fashion by wearing customizable shirts that celebrate your origin courtesy of new online shop TAGA. Taga asa ka? Taga Opon? Taga Mandaue? Let TAGA Your Origin shirts declare your hometown roots; they come in trendy, fun, and unique designs. 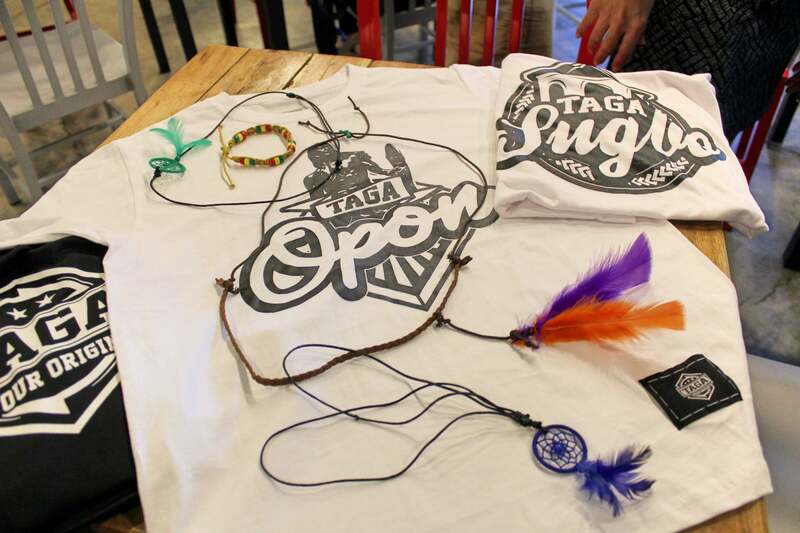 A brainchild of friends Maureen Eliot and Noreen Mondragon Tormis, the TAGA shirts provide people the opportunity to be proud of their origin by wearing it. TAGA Your Origin co-founders Maureen Eliot (left) and Noreen Mondragon Tormis along with collaborator Carlo Rodriguez of LiliLa, which provided the accessories. Another goal of the brand is to create quality clothing that connects people, through an apparel that makes a statement and initiates conversation. The shirts are of good quality cotton and perfect for Cebu’s tropical weather. They are sold at P348 each and come with a beautiful bag as packaging. TAGA Sinulog shirts come with either a bracelet, dreamcatcher, or headdress through a collaboration with Carlo Rodriguez of LiliLa, which is the source of the accessories. PRIDE OF PLACE. TAGA Your Origin sells shirts that show pride of place. All the shirts are sold at P348 and come with a beautiful bag as packaging. The Sinulog shirt comes with either a bracelet, dreamcatcher, or headdress. Available in both men’s and women’s styles and a variety of colors, the shirts can be ordered via the brand’s Facebook page at www.facebook.com/TAGAyourorigin. Interested buyers may also email them at [email protected]. Follow TAGA on Twitter and Instagram @taga_yourorigin for more info and updates.